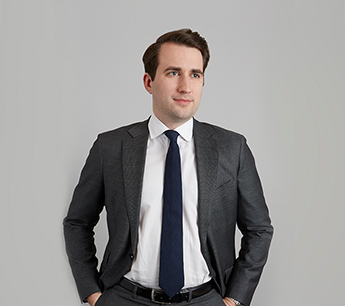 Pierce Thompson joined RKF as a Canvasser in 2015 and was recently promoted to Senior Associate. He works as a member of the New York brokerage team representing both landlords and tenants. Pierce represents many prominent landlords including Atlas Capital, Rockpoint Group, BD Hotels, Solow Building Company, Nahla Capital, Flank Architecture + Development and Sumaida and Khurana. Notable transactions include leasing 781 Fifth Avenue on behalf of The Sherry Netherland to Delvaux for their first U.S. flagship. He has also helped a number of e-commerce brands including Hatch Collection and Prive Revaux secure their first brick and mortar locations. Pierce earned a Bachelor’s Degree in Economics from the University of Wisconsin – Madison. He is a licensed salesperson in the state of New York and a member of the International Council of Shopping Centers.